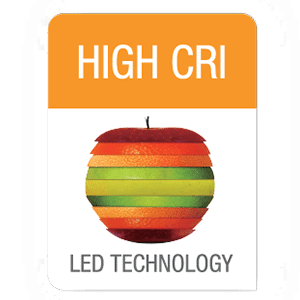 GREEN CREATIVE offers a complete lineup of LED products that adhere to current national quality compliance standards including Energy Star, Design Lights Consortium (DLC), and various California specific specifications (Title 24, JA8, etc). ENERGY STAR is a US Environmental Protection Agency (EPA) sponsored program to promote environmental protection through energy efficient products and practices. Products that have been qualified by ENERGY STAR have passed strict technical requirements and can be considered energy efficient and reliable. The ENERGY STAR lighting program requirements for integral LED lamps (retrofit sources) was drafted in 2009 and has been updated to the new Final Specification V2.1. (effective January 2017). The majority of GREEN CREATIVE “screw-in” lamp products fall within this category. The separate ENERGY STAR program requirements for LED light fixtures was drafted in 1997 and has been updated to the new Final Specification V2.1 (effective June 2016). The majority of GREEN CREATIVE downlight products fall within these categories. 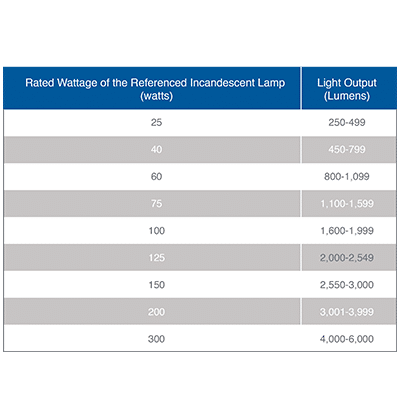 To ensure products in given categories meet established energy efficiency requirements ENERGY STAR has different efficacy (lumens per watt, lm/W) requirements for different bulb types as well as different CRI levels, as outlined at the left graph. To ensure products in given categories provide enough light to accurately match the incumbent incandescent bulbs they are potentially replacing Energy Star sets baseline requirements for light output based on different bulb power consumption levels, as outline in graph. 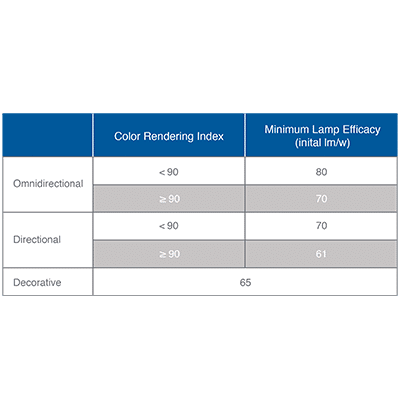 ENERGY STAR Sets color quality standards by requiring LED bulbs to meet a Color Rendering Index (CRI) of 80 or greater and an R9 value of 0 or greater. ENERGY STAR sets minimum light output levels over the life of products to ensure product longevity. 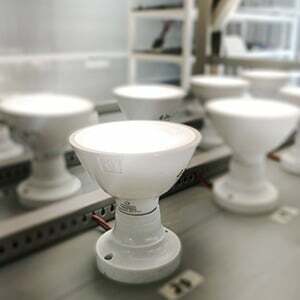 LED bulbs are required to maintain a minimum percentage of 0-hour light output after completion of the 6000-hr test duration, this percentage ranges from 86.7% – 95.8% depending on the claimed lifetime of the bulb.  ENERGY STAR regulates the Correlated Color Temperature (CCT) of lamps by setting acceptable ranges of tested CCT values. See left chart outlining these ranges. ENERGY STAR also sets minimum product lifetime requirements as a more direct requirement to ensure product longevity.  Omnidirectional and decorative LED bulbs have a required minimum life rating of 15,000 hours and directional LED bulbs have a required minimum life rating of 25,000 hours. To ensure product dimming performance, ENERGY STAR requires dimmable bulbs test for maximum and minimum light output on a dimmer, as well as, flicker and noise. The products must also dim to 20% or lower. 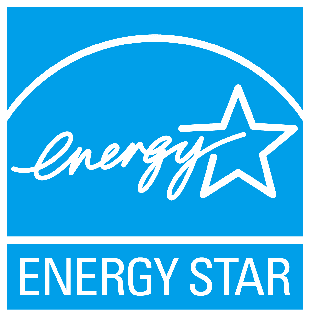 ENERGY STAR requires baseline product warranties to ensure product longevity and customer satisfaction.  A warranty of 2 years is required for bulbs with a product life rating less than 15,000 hours and a warranty of 3 years is required for bulbs with a life rating of greater than 15,000 hours. The full specification is much more detailed and covers various additional requirements and technical details. In addition, the ENERGY STAR fixtures have separate requirements. CLICK HERE for the full Energy Star V2.1 Luminaire Technical requirements. Although entirely voluntary ENERGY STAR has become the industry standard in the applicable categories as a baseline of vetted product energy efficiency, performance, and reliability. The brand is highly recognizable in both the residential and commercial lighting arenas. Just look for the Energy Star logo on applicable GREEN CREATIVE product packaging and specification sheets. GREEN CREATIVE is proud to be an ENERGY STAR partner! The DesignLights Consortium is a non-profit group funded by a variety of utilities and other industry groups with the goal of accelerating widespread adoption of energy efficient commercial lighting. DLC develops technical requirements for various LED luminaires and other lighting technologies primarily in commercial applications not covered by Energy Star. To be eligible products must meet the current DLC Technical requirements V4.3. There are specific requirements for Luminaires, Retrofit Kits, lamps, as well as networked controls. Although different than Energy Star requirements, the specifications focus on similar criteria such as efficacy, CCT, color rendering, and warranty. DLC requirements are also unique for very specific product use categories. 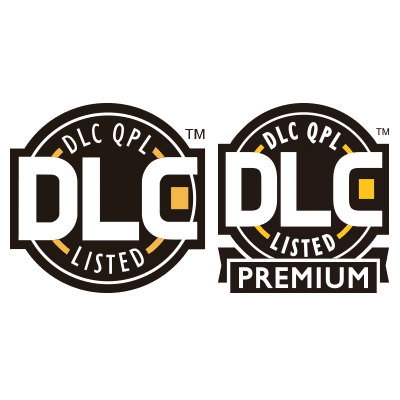 DLC Premium is a higher tier designation that requires more stringent technical requirements (outlined in DLC V4.3 link above).